03 Jun Don’t Kill Your Plants – Water! Plants need water to live. 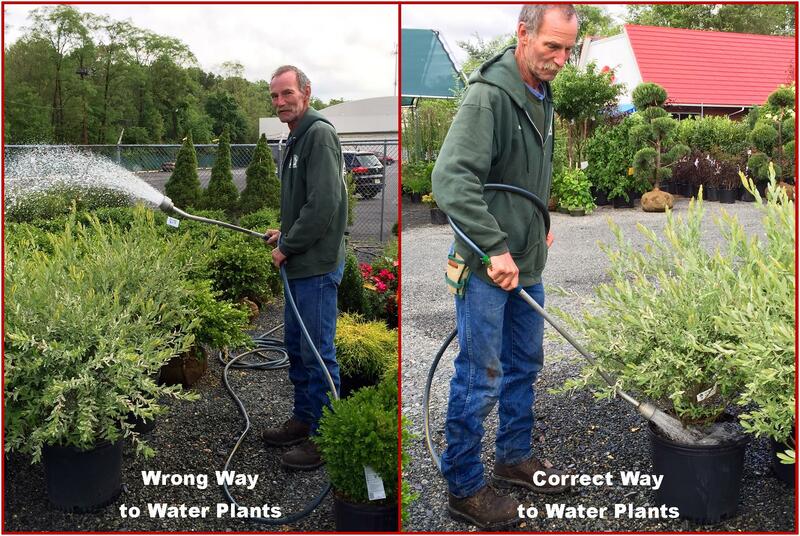 Besides that, there are no “rules” to watering – it is a judgement call. The amount of water depends on the type of plant, weather, time of year, and many other issues. What is the best thing to do? Check the soil! The most effective way to water your plants is to use a soaker hose and remember that it is the roots that will need the water. Focus on the roots. If you do get water on the foliage, make sure that it is early enough in the day that the water will dry off before nightfall. Water on foliage overnight, allows for the spread of fungus and diseases. 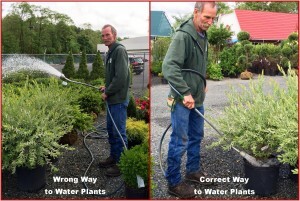 For established plants, deep, infrequent watering is recommended. In most cases, an inch of water per week should be sufficient. For new plantings, a slow trickle from a garden hose for 45-60 minutes should be adequate. For trees and larger shrubs two waterings a day may be required. Overwatering can also be detrimental to your plants. Water only when needed. Test the soil before watering. If your tree or plant is in the shade, it will, most likely, require less water. 1. Water only when necessary – check the soil. Over watering can be detrimental to your plants, too. 2. Water at the base of the plant. Water will then go right to the root system where it is needed. 3. Water in the morning. Watering in the morning is best because the water will reach the roots and will not be fighting with evaporation from the sun and heat. 4. Water with a soaker hose, if possible. If not, use a regular hose. Although sprinklers are great, they do not always reach the roots and get enough water to the plant. This is especially true with new trees and shrubs. 5. Mulch is important. We recommend that a maximum of 2-3 inches of organic mulch be maintained on shrub or perennial beds. Mulching helps to retain moisture, stabilize ground temperature and prevent weeds. We hope that this helps you during the spring and summer months, especially. Please do not rely solely on rain – it will not be enough, especially with new plantings.